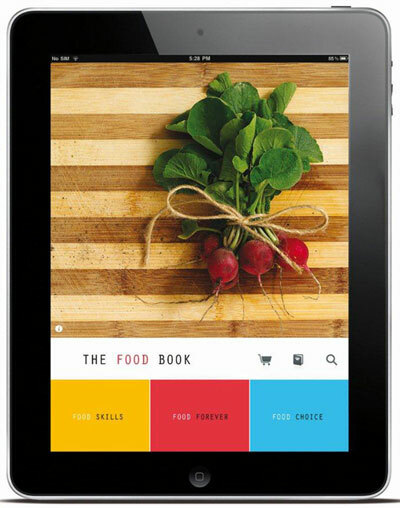 You are currently browsing the category archive for the ‘The Food Book’ category. The relationship between food and health is attracting more attention than ever, as Australians explore how nutrition impacts on quality of life. From Instagram to the local hipster cafe, the focus on the combination of food and nutrition is everywhere. 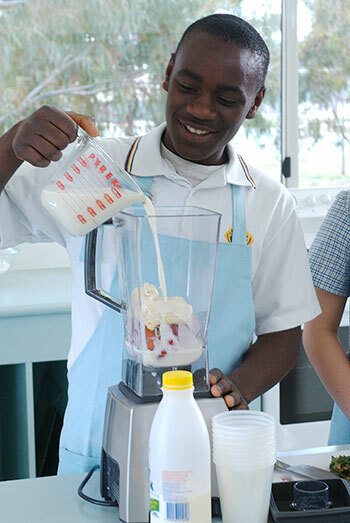 The Food Book is a complete food and cookery package for Australian secondary school students that brings food and health together, integrating recipes, skills, nutrition, health and food issues. 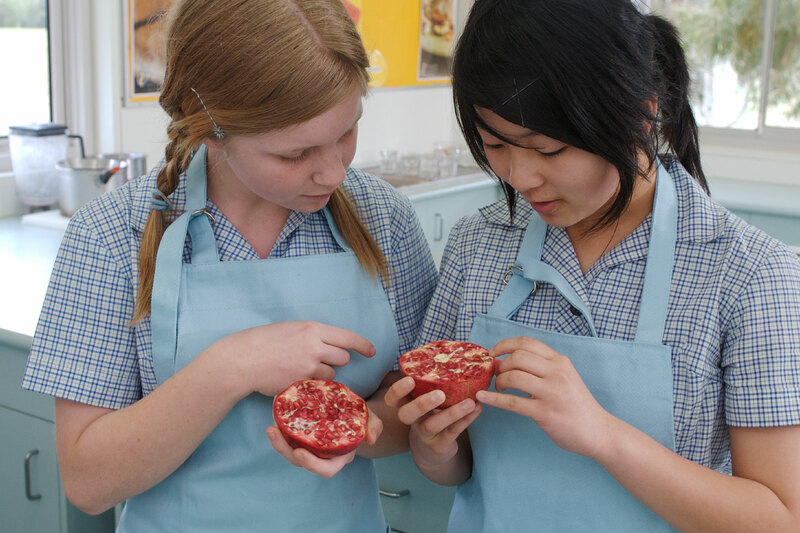 The Food Book has been developed with a commitment to student cookery success, helping students understand food better and achieve more culinary success. The current edition of The Food Book is available from Oxford University Press Australia & New Zealand. Making dips from scratch is a simple and fun way to add a special homemade touch when entertaining. You will find a selection of easy-to-make dips in The Food Book (pp. 176-181) including recipes suitable for vegans such as the roasted eggplant dip (p. 181), the carrot and cumin dip (p.180), for coeliacs and for people that are allergic to peanuts there is the roasted capsicum dip (p.179). Chickpeas are an excellent base for dips—they are high in protein and fibre and complement a range of ingredients. A favourite of ours is the beetroot hummus. 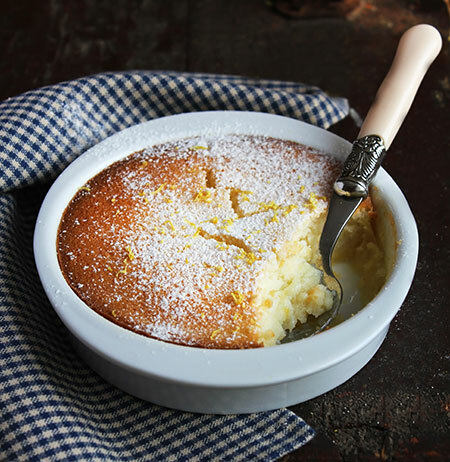 Here’s a recipe so you can try it at home. Place the ingredients into a food processor and process until smooth. To adjust the consistency of the dip, add in more water as desired. The dip can be made a couple of days in advance and its lovely colour is certain to appeal to your guests. Drizzle with a little olive oil prior to serving with crackers, carrot and celery sticks. Check out the many tasty dip recipes in The Food Book – there is sure to be one there that will tickle your fancy. With an array of vegetables in season, now is the time to get out your food processor and makes some simple, tasty starters! The arrival of summer means we are often looking for lighter meals that require minimal cooking and preparation time. There is a chapter full of delicious salad ideas using seasonal salad ingredients in The Food Book (pp.202 – 219). Salads can be served at any point throughout a meal – but are often served as the main dish of meals during summer. The choice of ingredients that can be used in salads are endless, but a favourite of ours, which is very simple to prepare and suitable for vegetarians, is made by combining some rocket, toasted walnuts, canned lentils (drained) some goats cheese and slices of roasted pumpkin, splashed with balsamic vinegar. It is a perfect meal on a hot summer evening as it is quick and refreshing and contains a range of textures from the crunchy nuts to the smooth creamy cheese. 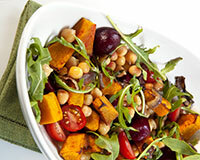 If you do not want to do any cooking at all, you can always substitute the pumpkin with baby beets. 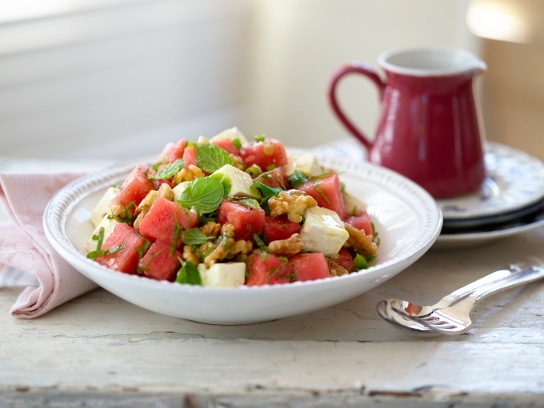 What ideas do you have for simple salads this summer? With its longer and sunnier days, spring is the perfect time to grow warm-weather loving plants such as tomatoes in your garden. To get the best crop, plant the seedlings in an area where they will get full sun but be protected from strong winds, it is recommended you fertilise the soil and do not to plant the tomatoes in the same spot two years in a row, in order to prevent the accumulation of disease in the soil. The plants will also benefit from mulching. Tomatoes will also grow well in pots if you use a top-quality potting mix. Water the plants regularly and fertilise only when the plants begin to flower. Tomatoes turn red when they are ripe and ready to be picked. We think nothing beats the taste of a freshly picked vine-ripened tomato. Simply slice and add to a salad or place on top of a dry biscuit to create a juicy and tasty treat. 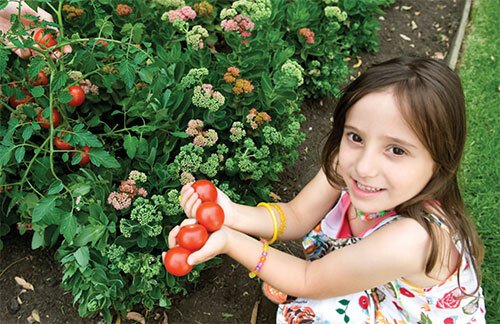 What tips do you have for growing tomatoes? 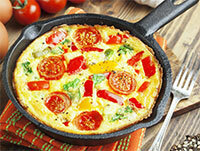 What are your favourite recipes for tomatoes? Spring has certainly sprung, and with it a new season of fruit and vegetables. One such vegetable is the beetroot; with its firm, rich, naturally sweet, maroon-red roots and its lusciously green leaves it is a versatile, healthy and delicious vegetable. Beetroots are a good source of fibre, folate and vitamin C and it can be cooked in a variety of ways such as roasted, grilled, boiled or baked. They can even be served grated raw in salads and that’s just the roots! Did you know that the leaves of beetroots are also edible? You can use them in salads or stir-fries. But one of my favourite ways to use a beetroot is as a dip. 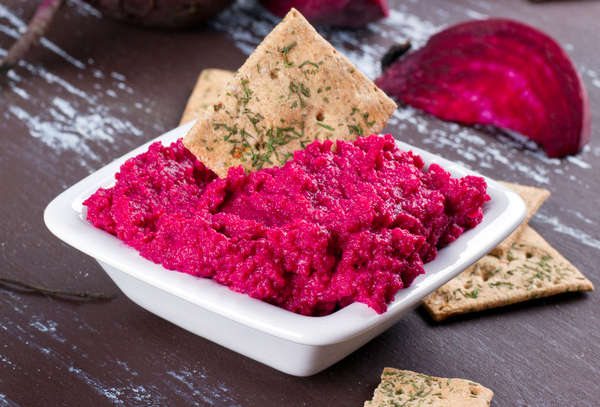 Here is a recipe for a delicious beetroot dip, so get in while they’re still in season; eating foods in season has lots of benefits in terms of health and nutrition, budget and environment. Wrap each beetroot individually in foil and bake in the oven at 200°C for 40–60 minutes, until tender. When beetroots have cooled, peel and chop roughly. Place beetroot mint, garlic, lemon juice and spice into food processor and process until smooth. Place in a bowl and fold in yoghurt and season to taste. Season dip with salt and pepper and serve with dry biscuits and chopped vegetables. Other flavours that go well with beetroot include allspice, bay leaf, cloves, chives, dill, garlic, mustard seed, thyme, and citrus. To avoid staining your hands, wear rubber gloves when handling beetroots. What ways can you include beetroot in your diet this spring? Pomegranates are an ancient fruit that are a great source of vitamin C, B-group vitamins and antioxidants; they grow on trees that are native to eastern Mediterranean, North Africa, Afghanistan and Iran but pomegranate trees are now also grown in Australia. Pomegranates are round fruits with a leathery red/orange rind; beneath this rind are membranous chambers full of red, juicy, sweet yet tart arils that also contain white, edible seeds. Many people may refer to the arils around the seed as the actual seed. Pomegranates are in season in May so why not try some in your cooking? Pomegranates can be used in a variety of ways as the arils containing the seeds add an interesting addition to many dishes. 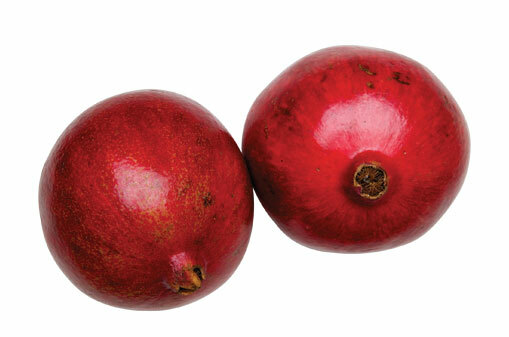 Pomegranate arils can be sprinkled in salads or eaten by themselves! The juice of the pomegranate is used in cooking, both as a fresh juice and as a concentrated syrup, especially in Middle Eastern cuisine. Cut the the crown end of the pomegranate and discard. Score the rind of the pomegranate in several places—do not to cut the rind all the way through. Place the pomegranate upside down in cold water and soak for ten minutes. Break the rind of the pomegranate and remove seeds from the membrane — the arils containing the seeds will sink to the bottom of the bowl. Use a sieve to remove rind and membranes from bowl. Drain the seeds with a sieve or colander. Gently pat dry the arils with paper towel. Use immediately or store in an airtight container in the refrigerator for up to two days. If you’re looking for a simple, yet delicious recipe that uses pomegranate, try the following that includes limes, which are also in season now. Cook quinoa in stock until light and fluffy-cooked quinoa will still have a bit of bite. Leave to cool. Meanwhile toast the pine nuts in a dry frying pan until lightly golden. Mix lime juice with oil, sugar and herbs to make dressing. Combine the quinoa with pine nuts, pomegranate arils, onion and sultanas. Drizzle with dressing and toss before serving. It’s Easter time! And you know what that means? Chocolate, chocolate and more chocolate! It’s a glorious time where we can all indulge a little in our favourite cocoa treats. When we think about chocolate and Easter, most people immediately think of chocolate eggs and bunnies, but there are also a plethora of other chocolate treats you can make. Perhaps consider making a Chocolate and Marshmallow Weetbix™ Slice (recipe below), it’s a delicious alternative to traditional homemade chocolates that you can share with family and friends over a cuppa. This slice is a favourite of The Food Book team as it has a crunchy chocolate base topped with deliciously smooth marshmallows. It will be a definite winner with young and old this Easter. Preheat oven to 180oC and grease a 20cm square tin. Crush Weetbix™ with your hands and add to mix together with flour, coconut, cocoa and brown sugar. Melt butter and stir through dry ingredients. Press mixture in tin and bake for 20 minutes, and allow to cool. Make marshmallow by dissolving sugar in the water in saucepan over a low heat. Add gelatine (or gelatine leaves) and stir until dissolved. 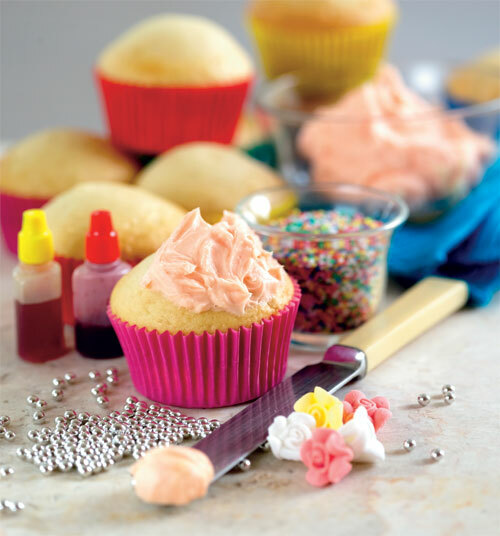 Allow to cool before adding vanilla extract (and colouring) and beating with an electric beater until thick and light. Pour over biscuit base and allow to set. 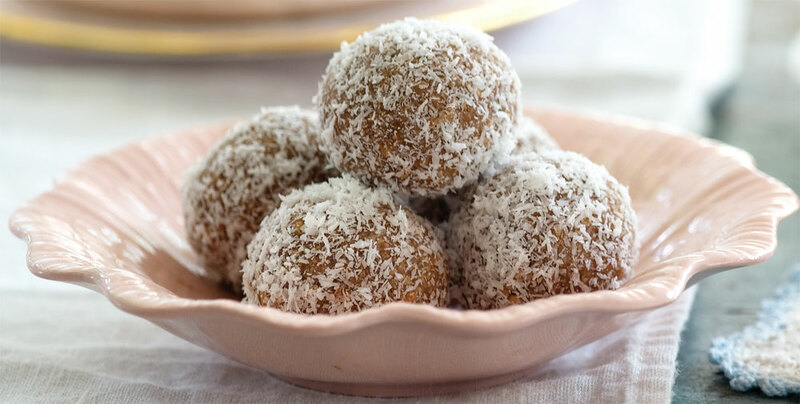 Sprinkle with coconut and cut into squares. Have you seen kale in the vegetable aisle lately? Chances are you would have, it is one of the ‘on trend’ vegetables this autumn. 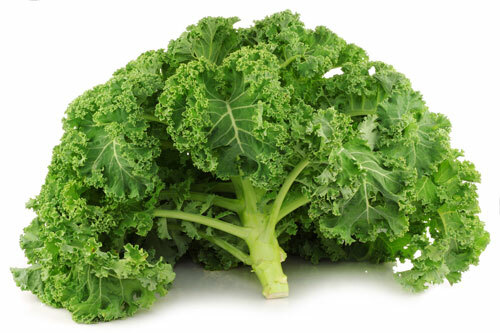 Kale is a variety of cruciferous vegetables. It has thick stems and typically curly, green leaves that do not form a head. Like many green leafy vegetables, kale is a nutrient powerhouse — it’s a great source of many nutrients including fibre and vitamins A, C and folate. It is very similar to a cabbage so can be prepared in a similar way — it can be served raw as part of a salad or served cooked. However, unlike many green leafy vegetables, kale is very robust and needs dressing (and time!) to soften its leaves if eaten raw. Pick up some kale next time you are doing your vegetable shop and try these two simple recipes. They’re quick, they’re tasty and they’re healthy! Whisk balsamic vinegar, olive oil, rice vinegar, honey, salt, and pepper together. 2 bunches kale, washed and tough stalks removed and leaves cut in half crossways. Mix together oyster sauce, garlic, soy sauce and sugar until the sugar dissolves. Drizzle oyster sauce mixture over kale and serve immediately.